Steven (Chicagoland, United States) on 17 August 2017 in Landscape & Rural and Portfolio. The Dead River runs through the Illinois Beach State Park along its southern boundary. Quel ciel quel décor et vue et ces reflet merveilleux. Great view. The light from the cloud, reflecting the water, is a great thing. wow !! This is sheer poetry from your lens!!! Fabulous image ! Wow - fabulous color and cloud formations. Un paysage fabuleux et impressionnant. Magnifique prise de vue! A fabulous and impressive landscape. Beautiful shot! That is some bank of clouds. Nice capture and great reflection. A very beautiful and natural scene ... fantastic place and photo! Stunning landscape. the light is sublime. The reflections are superb. A spectacular image for its landscape high quality and impressive capture of the gorgeous clouds. Fantastic clouds and reflections! A gorgeous capture. L O V E L Y !!!!!!!!!!!!!!! Fantastic shot and edit, good strength in the colours and contrasts, pity about the small left to right tilt though. The clouds look so powerful yet the pond is so calm. Spectacular! The clouds are superb and we get double the dose through the reflections. 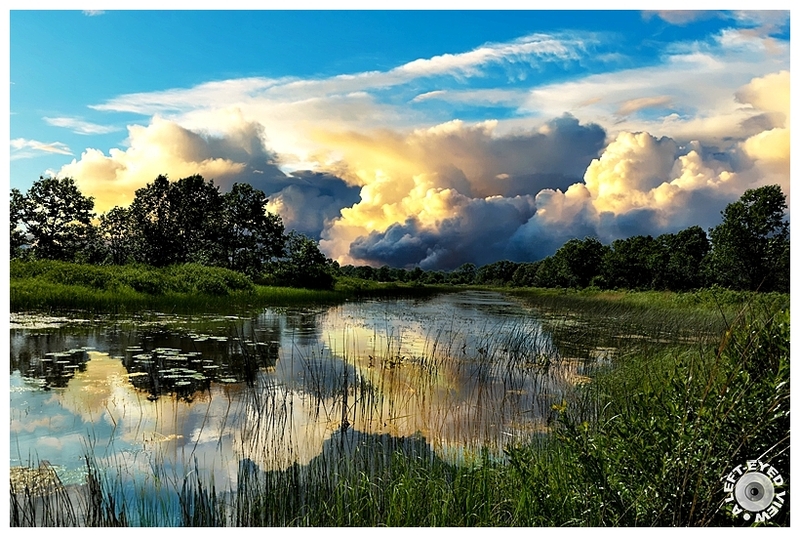 The low-lying clouds, along with their reflections, make this a powerful image, Steven. strong sky in this landscape...really good composition! C'est spectaculaire ... On a l'impresion que les nuages touchent la terre. Et ces reflets sont magnifiques, vraiment ! That set of clouds, seen in this way, even seem to have come from a huge explosion. This idea is emphasized by both colors and light. Stunning scenery, congrats Steven !!! Amazing sky! Wonderful photo! Congratulations on the spotlight! Congratulations Steven, those colours and contrasts trumped everything! Congratulations on the Spotlight. Superb image. Congratulations on the Color Spotlight! It's well deserved. Congratulations on the Spotlight Steven! This is a spectacular image! Brilliant cloud formation. Well captured.